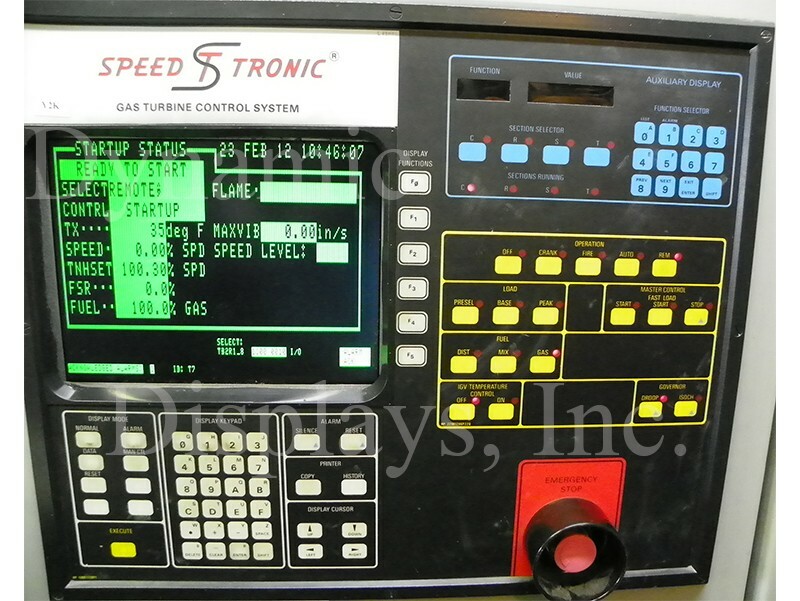 Model QES1512-087 12.1 In LCD replaces Motorola DS3000-140A, 12 In Monochrome CRT Monitors used in GE Mark IV Speedtronic. If you need to upgrade your old Motorola DS3000-140A or Motorola DS3000-340A 12-inch monochrome monitor, take a look at the QES1512-087 Industrial LCD monitor. 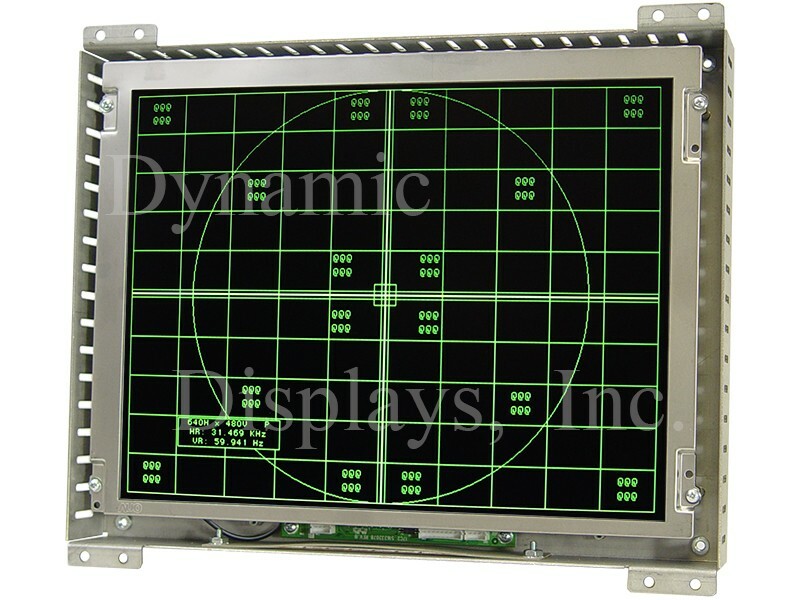 This rugged LCD upgrade display attaches easily to the CRT mounting holes of the existing monitor frame and is plug and play compatible with the original 12 inch 110° CRT Display. 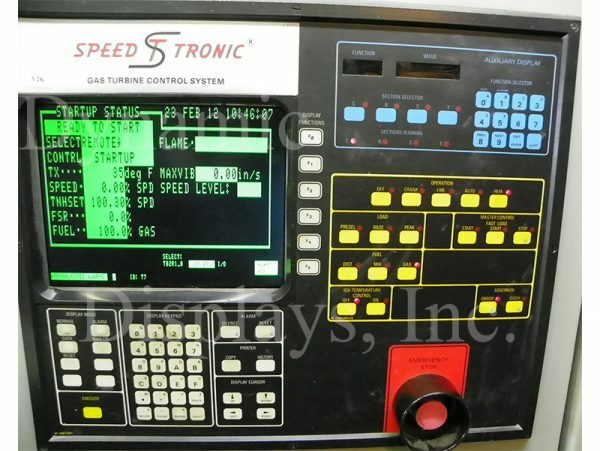 In addition, this new 12” LCD monitor has mating 10-pin edgecard video connector and pigtail power input connections with circuitry and firmware engineered specifically for plug and play in the GE Mark IV Speed Tronic - Gas Turbine Control System. Just plug the LCD display in and you are up and running. Upgrading your legacy Motorola DS3000 Series CRT monitor with the QES1512-087 LCD Replacement Monitor increases productivity, reduces waste, eliminates down time and extends the life of your automation investment. With brighter, sharper and crisper images provided by the new LCD, operators no longer need to squint to view dim or out-of-focus screen data, with fewer operator errors and less wasted time and materials. With solid-state electronics and a ling-lived LED backlight, down time due to aging monitor repairs is no longer a concern and you can continue to rely on your older machine with minimal expense and effort. The list below represents legacy products that can be replaced with this product.